Apple Pay debuted in Germany on Monday, finally offering iPhone and Apple Watch users in the country the ability to pay for their goods and services using Apple’s contactless payments solution. MacRumors reports that the following banks and payments services will allow their customers to use their debit and credit cards with Apple Pay: American Express, Deutsche Bank, Hanseatic Bank, HypoVereinsbank, Edenred, Comdirect, Fidor Bank, and mobile banks and payment services o2, N26, boon, bunq, and VIMpay. 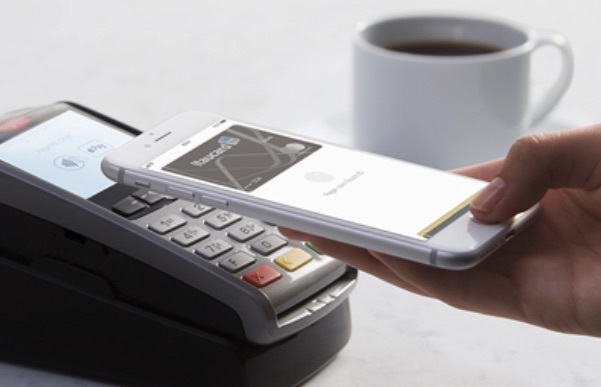 Apple Pay launched in the United States in October 2014 and has since expanded to numerous other regions, including the United Kingdom, Canada, Australia, Belgium, China, Singapore, Switzerland, France, Japan, Spain, Italy, Sweden, Finland, Denmark, Russia, New Zealand, Brazil, Poland, Ireland, and Ukraine.